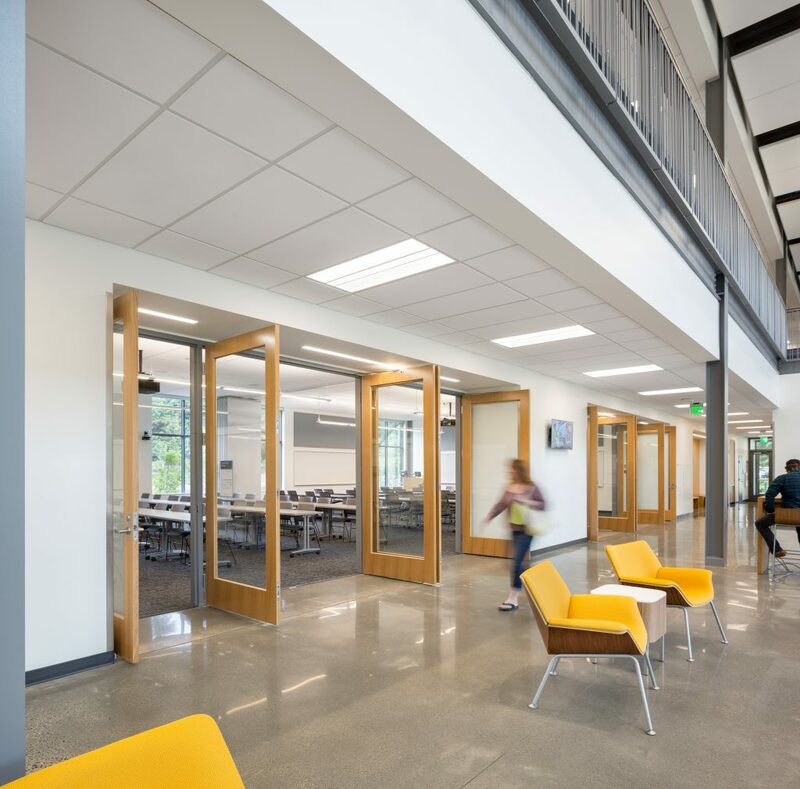 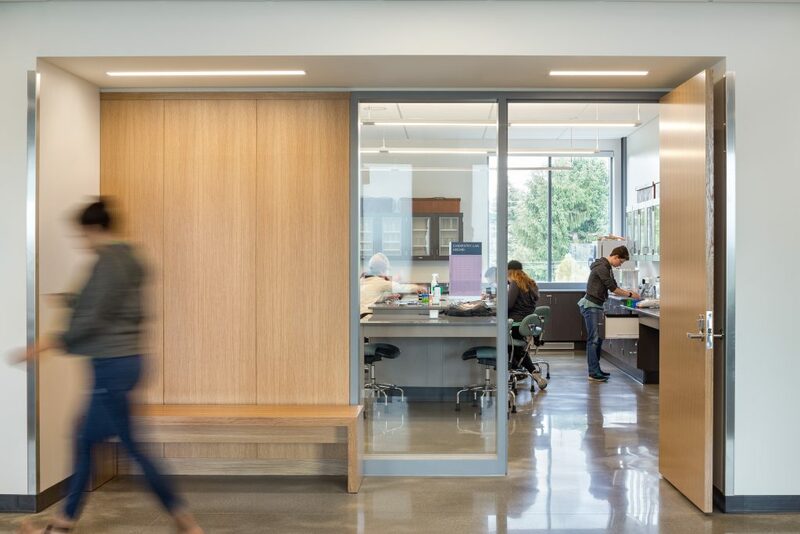 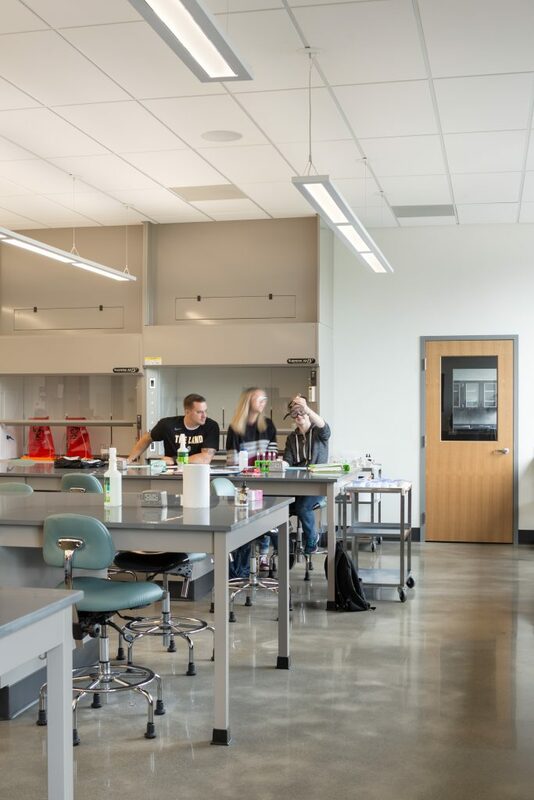 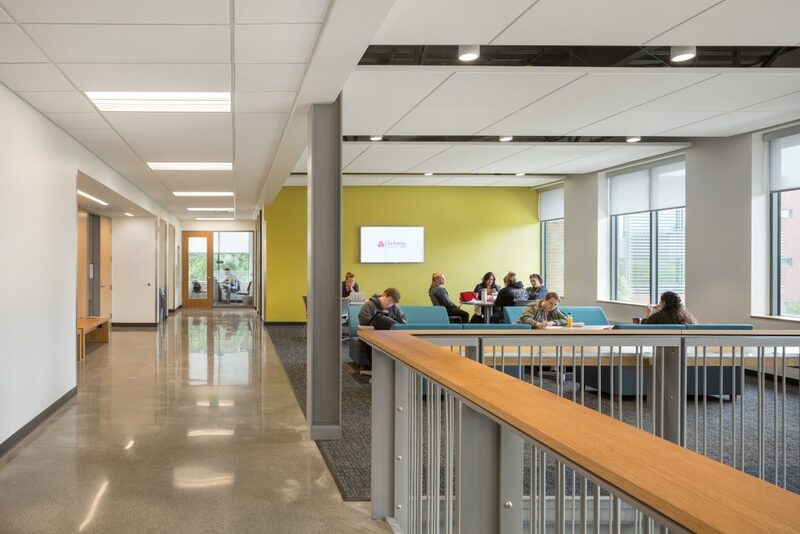 Hennebery Eddy worked closely with Clackamas Community College in designing and constructing a new 45,000-square-foot building on the Harmony Community Campus. 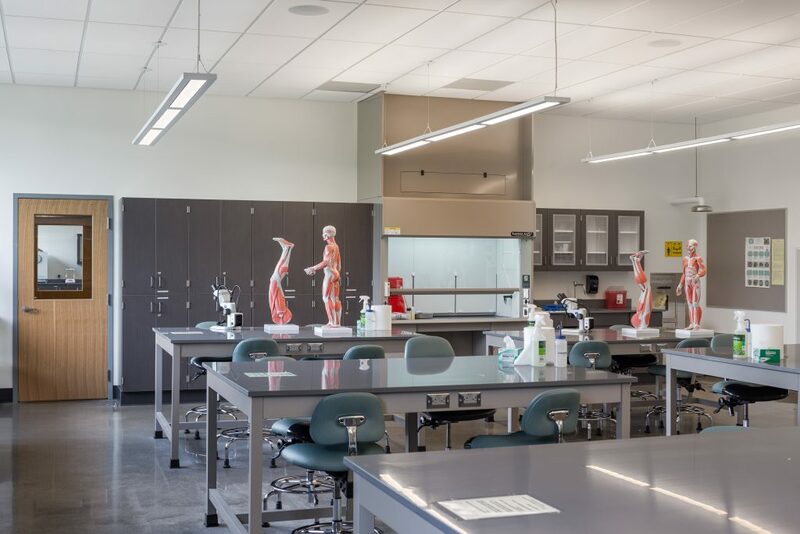 Harmony West, which opened for classes in January 2018, features flexible college classroom design and general science labs. 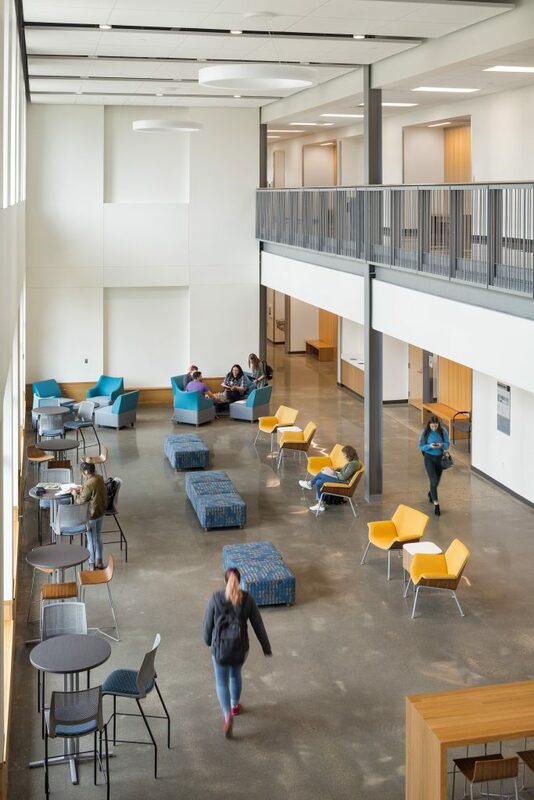 Each floor has a central activity area and collaboration spaces in a variety of sizes and styles to enhance student/faculty interaction. 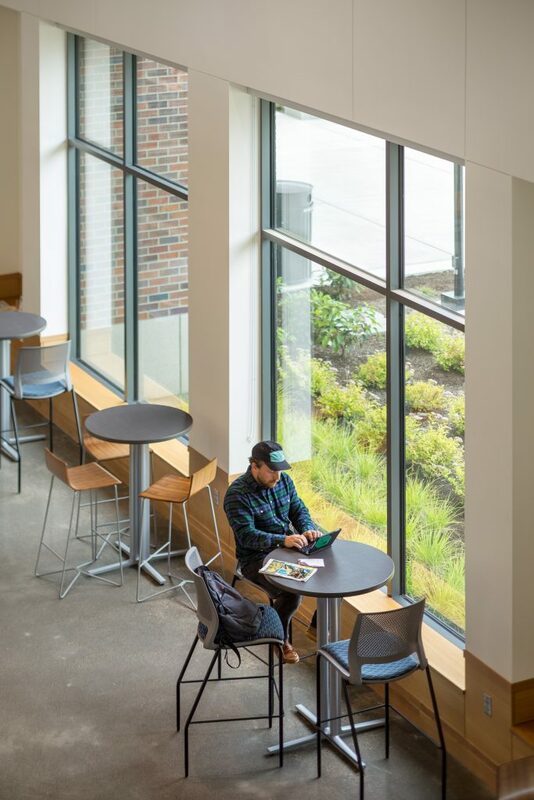 These include a double-height lobby, a second-floor student lounge, and a third-floor interaction space for more focused studying. 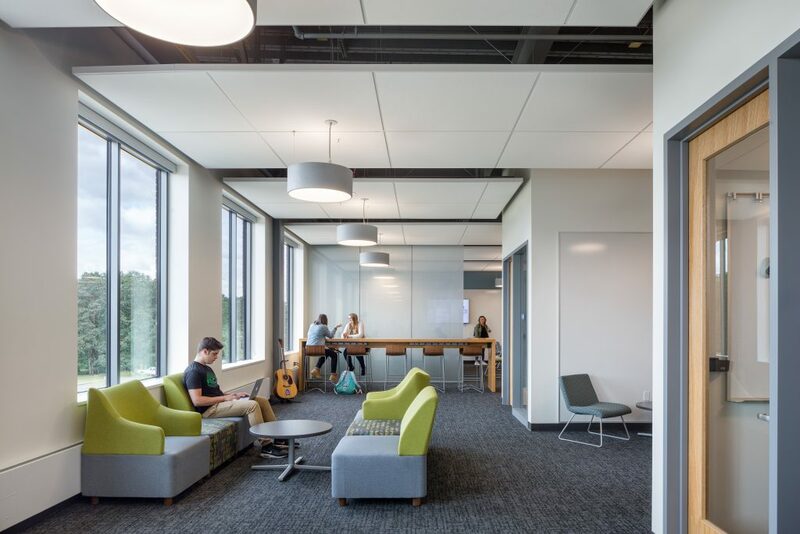 Small break-out rooms are thoughtfully arranged throughout the building and break-up larger public spaces. 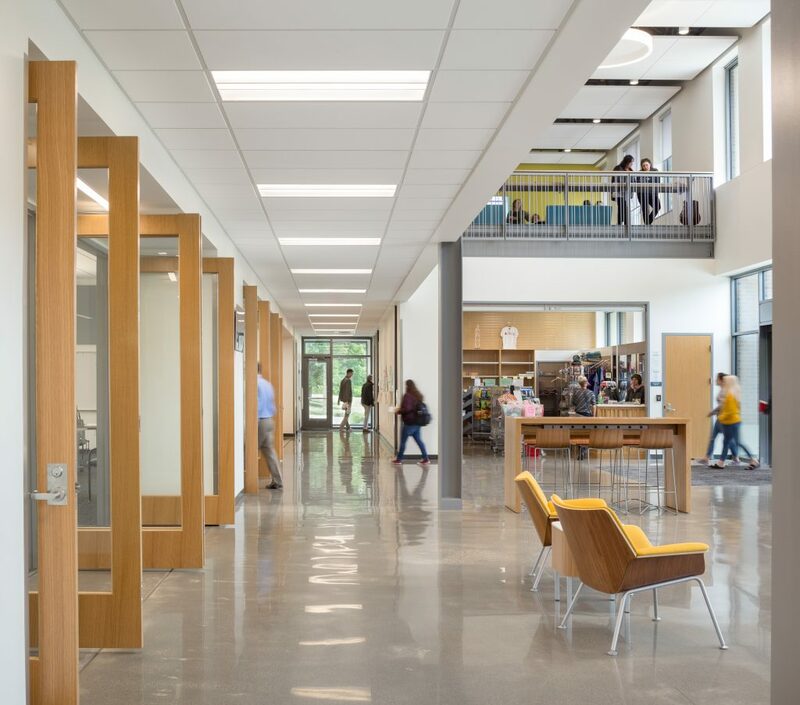 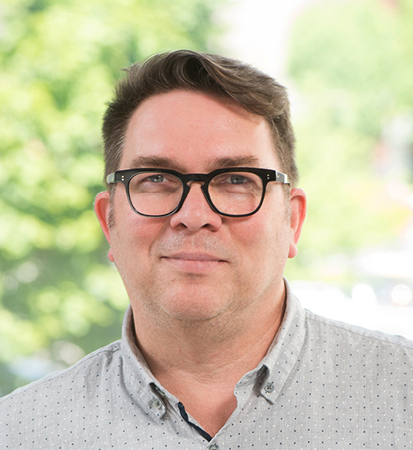 Three goals guide the project: focus on community accessibility, support a seamless student experience, and responsible stewardship of the community’s funds and trust. 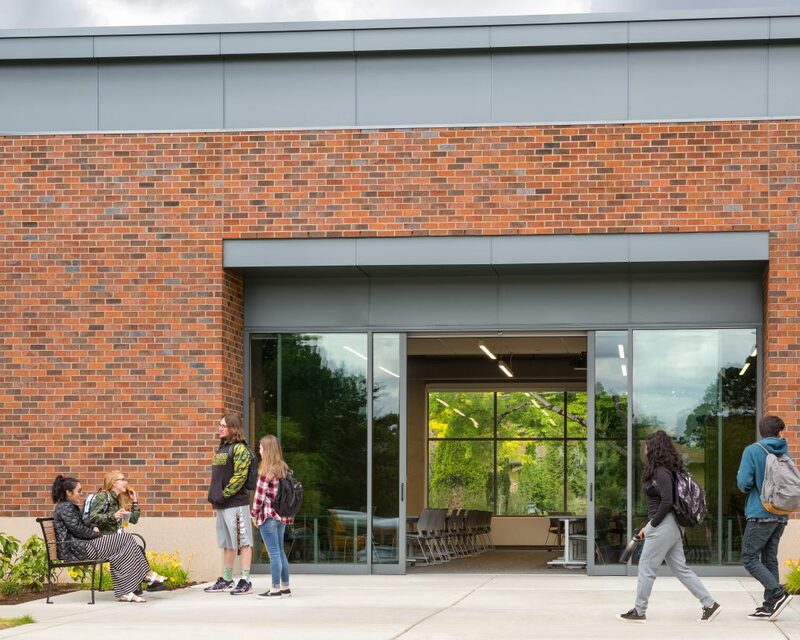 We organized the site to support a variety of defined, memorable outdoor spaces — like an informal outdoor classroom under the heritage oak tree — to encourage integration of community and student activity. 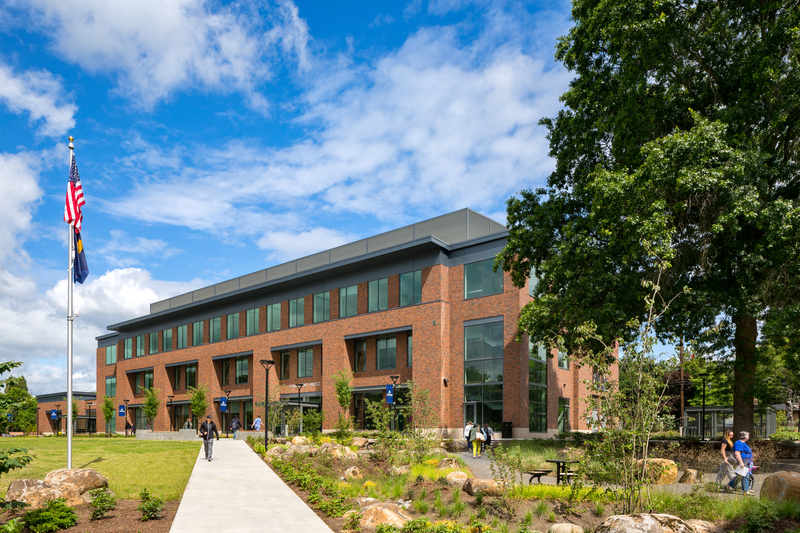 The new building will reinforce an unified campus with improved connections to existing amenities like the North Clackamas Aquatics Park and the Three Creeks nature area. 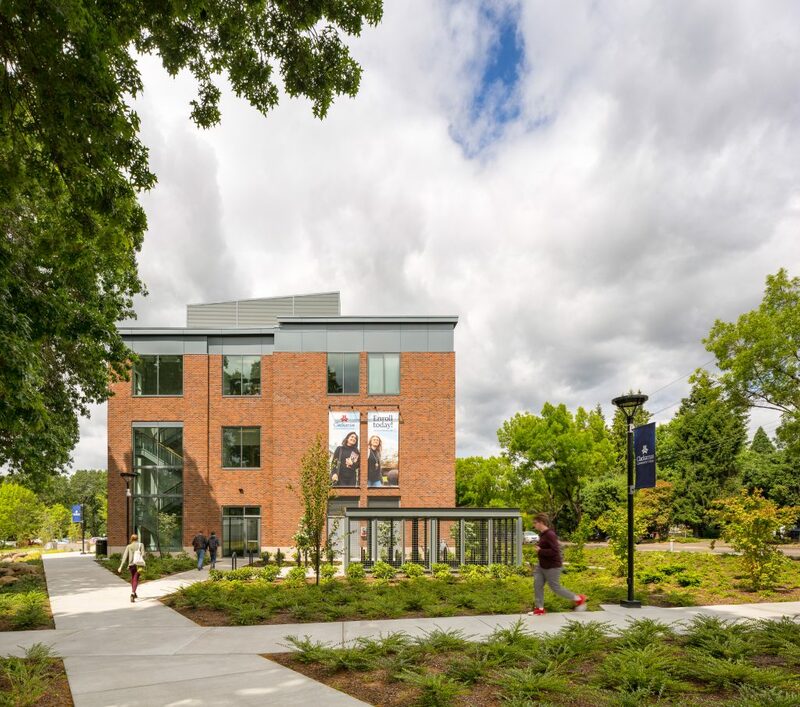 Notable public amenities include a large reservable community room, outdoor event spaces, and a grant-funded rain garden highlighting the site’s stormwater management.